What a great family weekend!! With all that we have had going on lately, it was nice to relax! Eliza and I started it off with some AMAZING photos with Shone Foto. This is a behind the scenes shot, I can't wait to see the real photos! We went to the apple orchard to pick some apples and grab some fresh donuts. We got there bright and early and had the whole orchard to our selves! Eliza was thrilled with the tractor ride and Mark had a bit more fun on the playground. They have a little petting zoo where you can feed the animals, Eliza was very brave and was able to feed one of the horses. We spent some time at the park, not sure what we were thinking with how busy it was for the holiday weekend, but it was fun none the less. Eliza and Mark spent some sweet time together throwing rocks in the water, one of Eliza's favorite things to do! My Aunt Kathy and Uncle Mike came to see us on Sunday. We met them at the new house to show them around then headed to dinner. Eliza loves them so much and was so happy to spend some time with them. I wish I would have remembered to take some pictures, she loves to look at pictures of all of her friends! A few new updates-the hardware on the garage door and the sidewalk stained and sealed! We spent the rest of the weekend relaxing around the house. Eliza has been VERY snugly lately, I will never pass it up though! She came up to me and said "I just wanna snuggle Emelia" and plopped right down. At night I finished ordering all of the light fixtures for the house. If I have to sit and stare at the different types of bronze finishes any longer I might go out of my mind! I bought them all off of eBay, my favorite store! We saved so much money doing it this way, I just hope they look as nice in person! I hope you had a wonderful weekend as well. Oh, just an update, this is the last week for the balloon contest. We have a great lead but I don't want it to slip, so if you can vote, please do so! You can vote once a day per Facebook account. 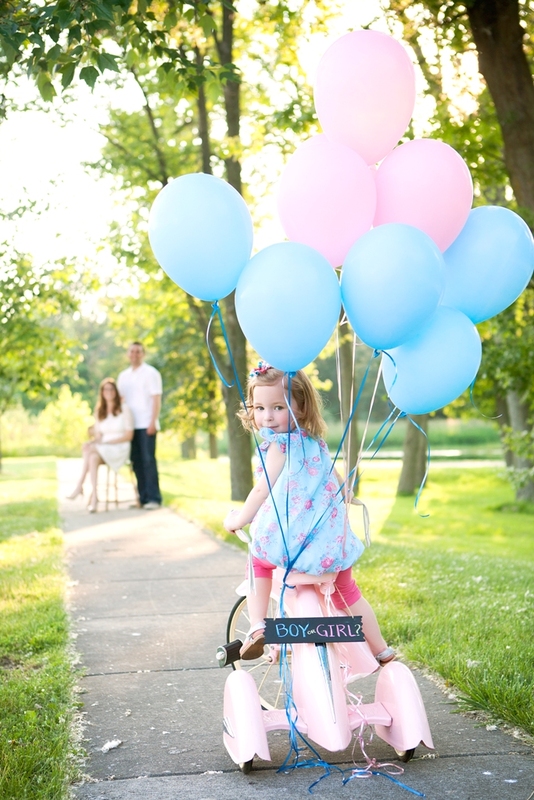 Just click on the picture below and vote for the picture of Eliza on the tricycle, it is down towards the bottom.